As the Prevention Coordinator you will have the opportunity to provide leadership to a multi-disciplinary team in a program area that influences and leads advocacy effort consistent with the cohealth organisational values of Social Equity, Respect, Inquiry and Innovation, Courage and Trust. Our Prevention Program aims to improve health, wellbeing and social inclusion through cross-organisational programs, external partnerships and community development. We focus on working with people of refugee-like backgrounds, Aboriginal and Torres Strait Islander communities, and people who experience significant disadvantages including people who live with disabilities. Create policy and advocacy with and on behalf of communities we work with. As well as these broader initiatives, you will also have a leadership role in continuing to develop the team’s evaluation framework, outcomes measures and indicators of change. This work will be complimented by your experience in using contemporary methodologies for evaluation, sharing learning with team members, and an enthusiasm to contribute to the development of the field of evaluation. Your experience in team leadership will be utilised to guide the staffing group in their program planning, implementation and evaluation as well as coordinating the completion of relevant reports to funders. 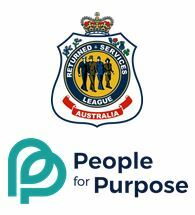 Please quote in application: Prevention Coordinators x 2 via Pro Bono Australia.